I love my neighbour birds, but sometimes they’re a challenge. The scrub jay couple that live in a big tree near us wake us up every morning at the bedroom window, waiting for peanuts. Sometimes, they literally sit on the windowsill and just yell. This week started with one landing for a peanut and the other being too hasty to go in for his (for some reason, they can’t both just sit nicely together), so a brief scuffle occurred resulting in one coming into the bedroom, flying into the glass door, twice, then hiding in my wardrobe. Chasing a bird around at 8am in my PJs is not usually how I like to start a new week. The rest of this week has been fairly uneventful. Alex has been away on a work trip to Shanghai, so I’ve mostly been filling my time catching up on horror flicks. I watched a few oldies, but the most interesting recent one was Hereditary, which ended up not being exactly what I expected, but actually somehow better. It’s got some really inventive shots and a nice slow build and doesn’t rely on a lot of exposition. I’ll probably watch A Quiet Place tonight. 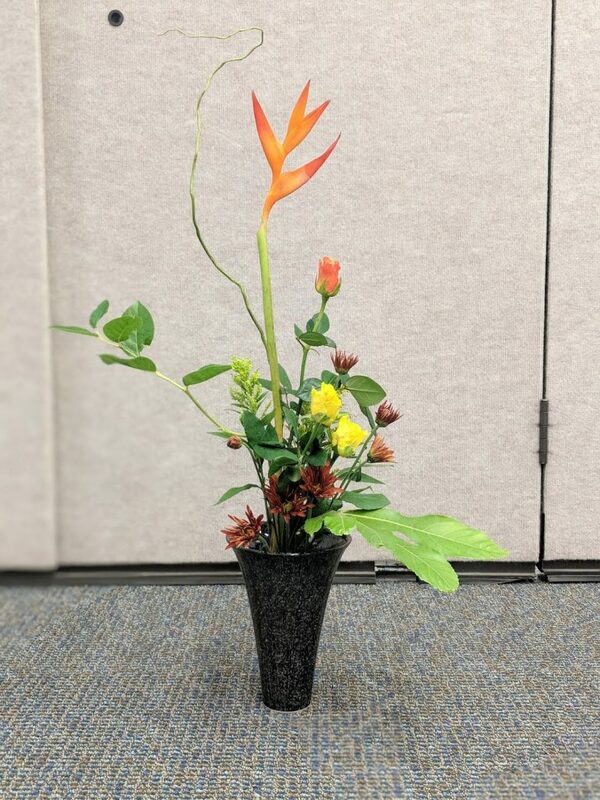 This week’s ikebana class consisted of a 3 material, 7 stem shoka and a more traditional moribana style freestyle arrangement. Teacher said I should be receiving two diplomas next month!